Real estate offers investors advantages that most other asset classes do not. Not only can investors receive regular cash returns and capital gains, but returns can be magnified by the tax advantages that are unique to real estate. Unlike commercial retail, office or industrial properties, demand for a place to live is universal and predictably stable in the right markets. Single family homes can also be great investments, but apartments reduce the risk of loss from vacancies and operating economies of scale. Rental income provides consistent returns without the need to rely solely on more speculative capital gains. However, a properly purchased property offers the opportunity to force appreciation through physical improvements and better management. Why is This a Good Time to Invest in Multi Family Apartments? 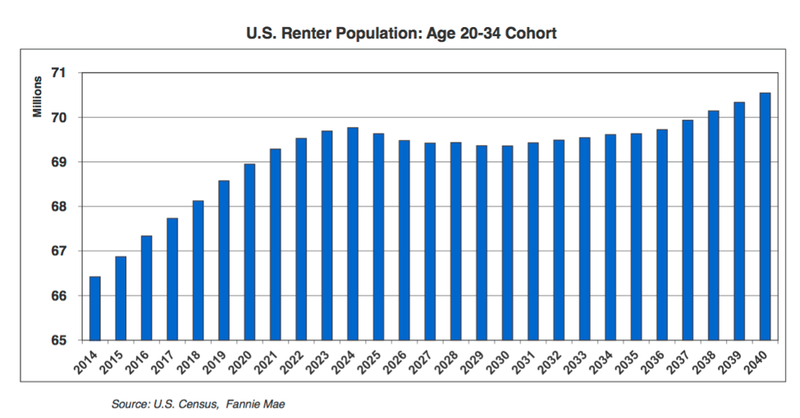 As millennials age and begin to form families, they may begin buying homes, but census data shows that the U.S. Renter prime cohort of age 20 – 34 will continue to grow for the next 10 years. 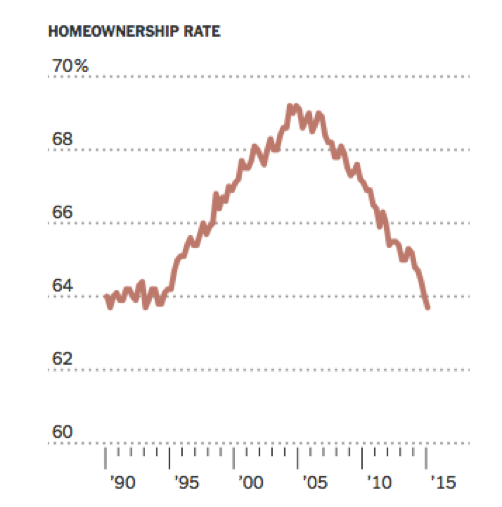 This population is already at the highest level in history while at the same time the aging baby boomer population is looking to down size. 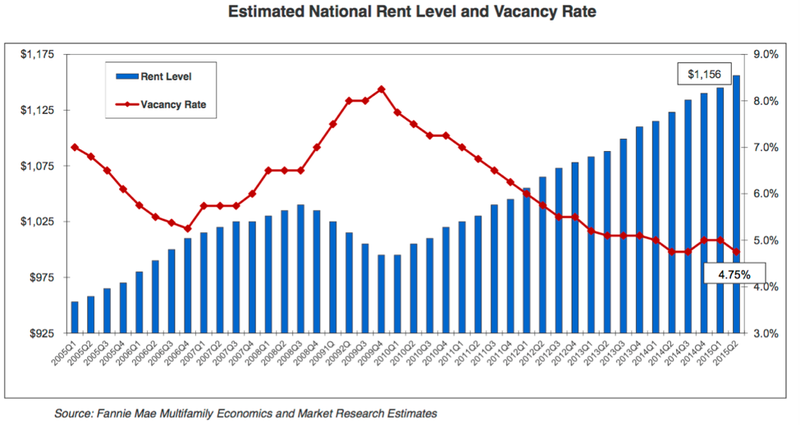 These trends have had the effect that one would expect as apartment vacancy rates continue to decline and rents continue to rise. 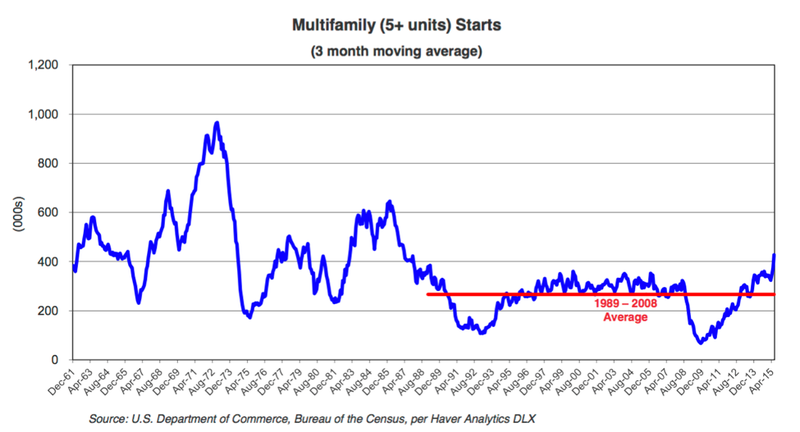 As also might be expected, these trends are attracting developers who are building new apartments, but new multifamily housing starts are just now moving above historical averages and have significantly lagged recent growth in demand. While competition among investors for apartments has increased, there are still great opportunities to purchase under managed properties and strategically add value.